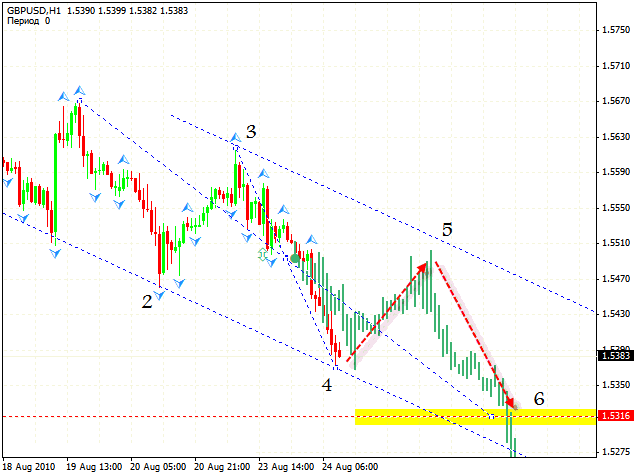 The EUR/USD currency pair has almost reached the targets specified earlier. In fact, we could close positions, but according to the daily chart we can expect more significant fall, that’s why I would recommend to capture only a part of short positions. Daily currency trading chart of the EUR/USD pair is a bit similar to USD Index chart, the only difference is that it is reversed. 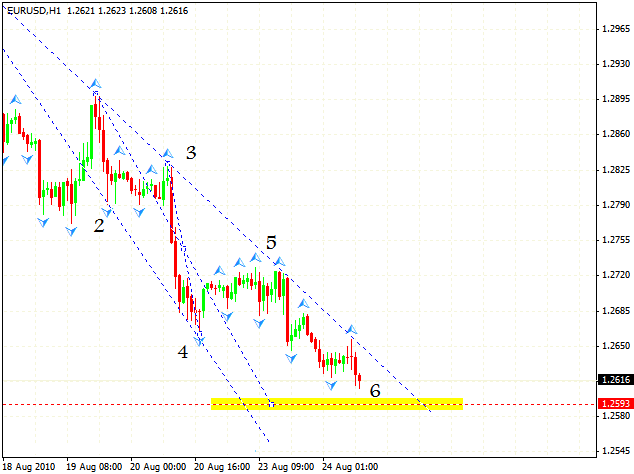 Here we also have the rising pattern formed with the target of 1.3302. 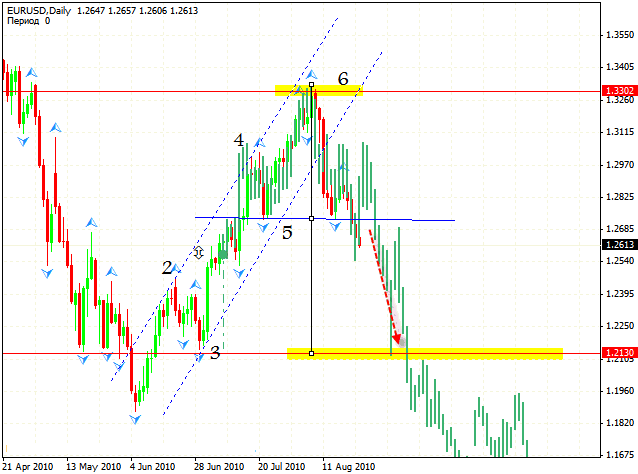 Currently we can see “head & shoulders” reversal pattern formed with the target in the area of 1.2130. But as can be seen, the indicator points at more significant fall. Pound, like Euro, has formed the descending pattern. 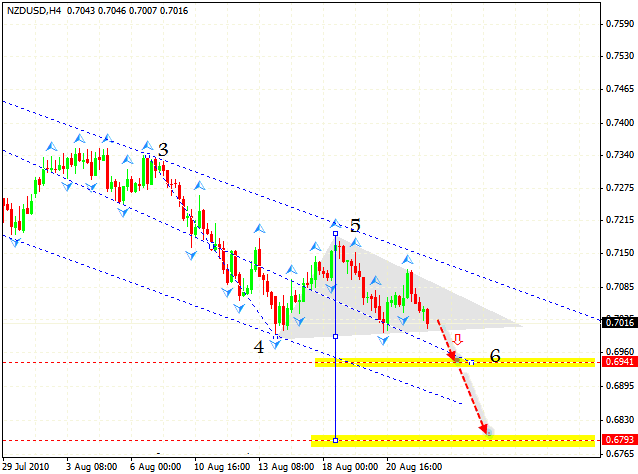 Currently we can expect a correction into the area of 1.5480 and start selling with target of 1.5316. But we cannot rule out the possibility of a fall without any correcting movements. On the Н4 chart we can see that the channel was broken downwards, which is, according to Erik Naiman, a signal to sell the pair. 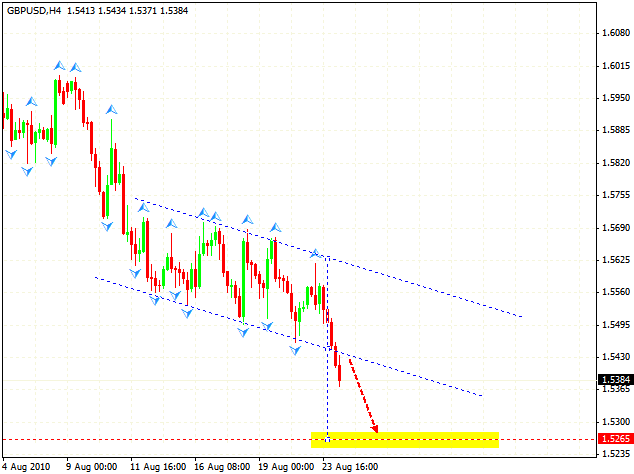 Here we have a target of 1.5265. One should sell when the channel’s border is being tested from the bottom. New Zealand Dollar tried to form “head & shoulders” reversal pattern, but it didn’t succeed. Currently the price almost reached the specified targets. But here we can see a “triangle” forming as a pattern of continued trend and probably we will see the fall to the area of 0.6793. We capture a part of short positions and wait for the further movements.